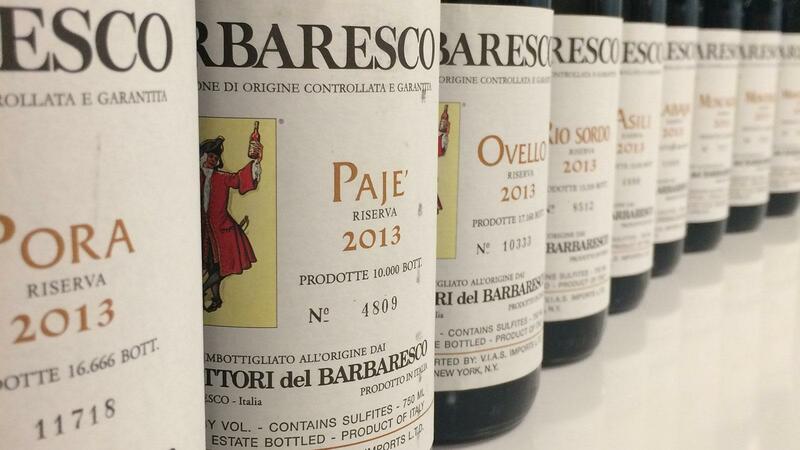 Produttori del Barbaresco has just released its nine single-vineyard cuvées from the 2013 vintage. Aldo Vacca, the director of Italy's Produttori del Barbaresco, was in New York recently, giving me the opportunity to taste through the label's range of new Nebbiolos from the 2013 vintage. The Produttori is a historic cooperative in Piedmont's Barbaresco, founded in 1958; Vacca's grandfathers were founding members, and his father ran it from its inception until 1984. It was Vacca's father that decided its member growers would focus on Nebbiolo only, at a time when both Barbaresco and Barolo were a tough sell. However, as both appellations have gained in popularity, it was a strategy that has paid off handsomely. "My father was the oldest of three brothers, so he chose to go to university, and because he had a degree, he was chosen to run the co-op," says Vacca. "His brothers got the family vineyards, so they were considered poor farmers. Today, my cousins are rich farmers and I'm the employee," he laughs. But the quality of the Produttori's wines is no laughing matter. They are among the best in the region and, since 1998, its grower members have been paid a premium to harvest a crop 10 percent less than the legal limit to ensure quality. Furthermore, if you are a member of the Produttori, you cannot bottle wine under your own name. The membership is fiercely proud of its wines and loyal: The last time a grower left the Produttori was in 1997. The 2013 growing season was cool, delayed in both budbreak and flowering, pushing the harvest into October, compared with more recent harvests in this millennium that have occurred in September. This played into the late-ripening Nebbiolo's hand nicely, allowing the grapes to ripen slowly in the warm days and cool nights of September and early October. Picking began the Oct. 10 and finished Oct. 24. "The good thing about this vintage is we were able to pick late, so the tannins were able to ripen fully," explains Vacca. All the wines were bottled in June 2017, after aging three years in 25-, 35- and 50-hectoliter casks. They were opened an hour prior to tasting, but not decanted. Vacca describes Asili as the "quintessential Barbaresco;" the 2013 Asili Riserva is harmonious, superbly balanced and expressive, featuring floral, cherry, wild herbs and sweet ripe fruit on the terrific finish. The final trio is the most structured. Muncagota Riserva 2013 reveals a darker expression of cherry, wild herbs, and a more brooding nose. Rich, fuller-bodied, dense and firmly tannic, yet everything is in right proportion. The Montefico Riserva 2013 exudes black cherry, black currant, tar and tobacco on a round, dense and powerful profile. Plenty of ripe cherry, plum, hints of tar and mineral announce the Montestefano Riserva 2013. This is the most full-bodied and firmly structured of the range, finishing long. "You can feel from this vintage that these wines are going to explode at some point after five, six or seven years," says Vacca. "The '11s are evolving nicely, but these have the tension to really surprise."